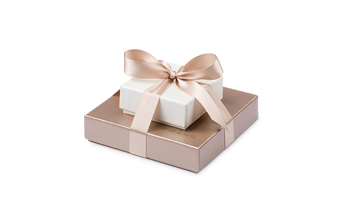 An impressive collection of our award-winning Gray and Smoked Salt Caramels, beautifully packaged in a sophisticated, custom designed gift box. Our best-selling and award-winning Gray and Smoked Salt Caramels feature a harmonious blend of complex flavors - rich smooth chocolate, soft buttery caramel and the unexpected boldness of the gray and smoked salts. Our Gray Salt Caramels are dipped in 70% dark chocolate and finished with sea salt harvested off the coast of Brittany. Our Smoked Salt Caramels are dipped in 39% deep milk chocolate and sprinkled with sea salt smoked over Welsh oak. Winner of the sofiTM Gold Award in the Outstanding Confection category. 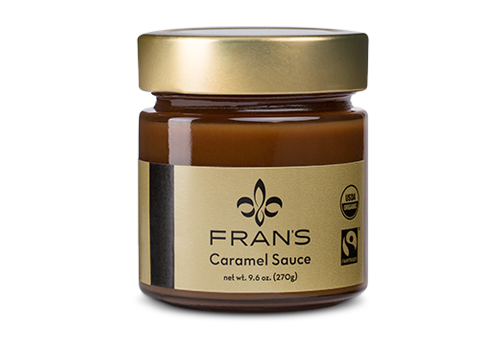 Fran's Salted Caramels are certified Fairtrade and Organic. Our caramels are handcrafted in small batches with organic ingredients including fresh local cream and butter. For optimal freshness and flavor, please enjoy your caramels within 30 days. Store your caramels out of direct sunlight, in a cool, dry place between 54-68°F (12-20°C). To avoid blooming, please do not place your caramels in the refrigerator. Cream* (milk), cane sugar*, dark chocolate* (cocoa beans, cane sugar, cocoa butter, soy lecithin, vanilla), milk chocolate* (cane sugar, cocoa butter, full-fat milk powder, cocoa beans, soy lecithin), tapioca syrup*, butter* (sweet cream [milk]), vanilla extract*, lemon juice*, salt. *Organic. Cocoa, cane sugar: Traded in compliance with Fairtrade Standards, total 52%. May contain peanuts and tree nuts.